When Sonal contacted us for her wedding in Jaipur in December, we were ecstatic given that we adore the rajasthani culture and love shooting in the Pink City! 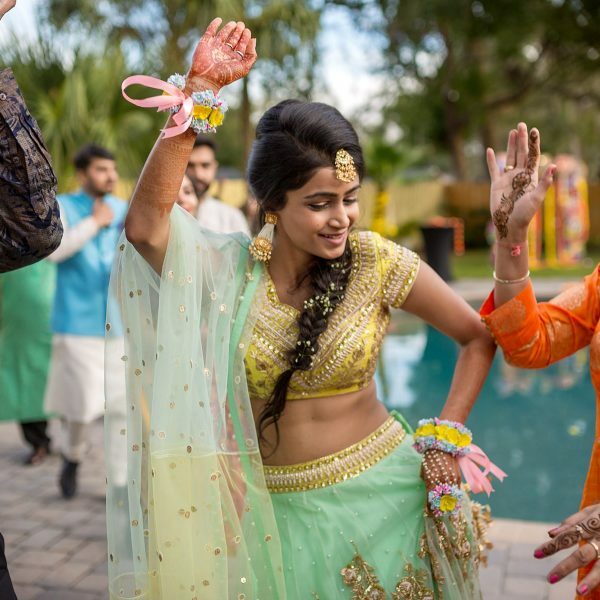 The wedding festivities began with the colorful and intimate mehendi ceremony at home. There was a small ceremony at the bride’s side where the groom’s family welcomed the bride into their family by giving her gifts. Also, there was a lot of dancing and some delicious food thereafter. There was a small puja at the grooms home which involved only the close family members. This puja was meant to please the gods so that there are no aversions during the wedding ceremony. Once the ceremony is over, friends and family were invited for lunch post which there was a lot of dancing to the local rajasthani music. The engagement ceremony was held the same evening and there were a lot many guests apart from the family members invited for this event. 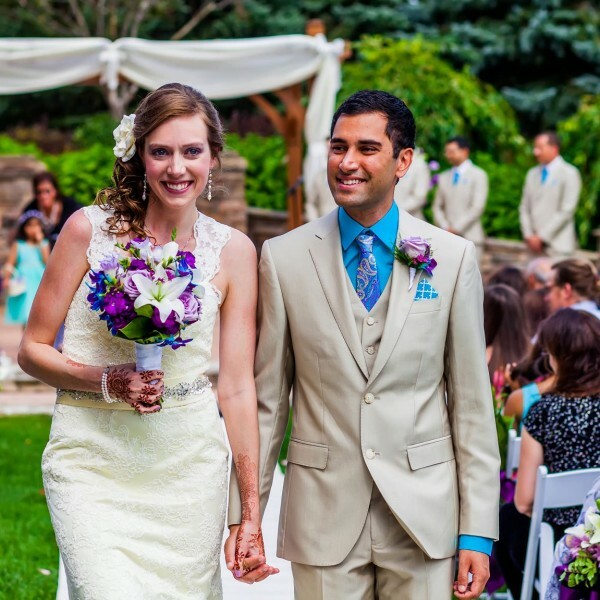 The couple exchanged the rings and performed a bollywood number together. Post that, there were drinks, and more drinks! What would a Punjabi wedding be without some booze? And yeah, don’t miss on the photo booth where people had some crazy pictures clicked while having fun! 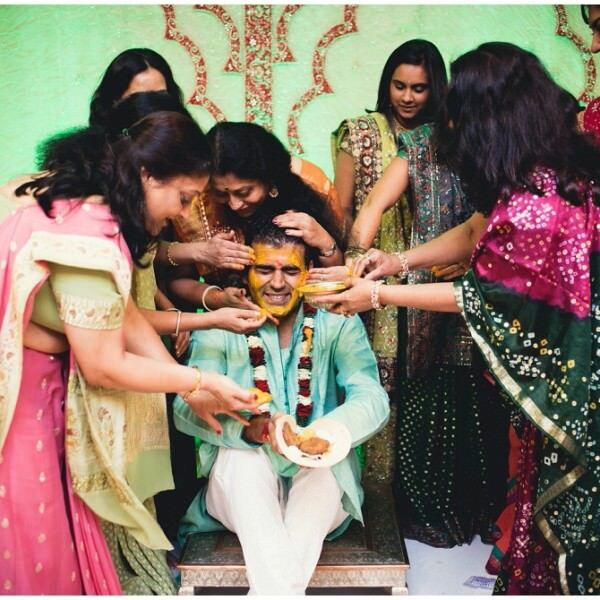 Shaleen’s haldi was a time for their family and friends to paint him in yellow with the turmeric paste aka haldi. They didn’t spare an inch on his body where the haldi wasn’t there and literally tore off his clothes during this ceremony! 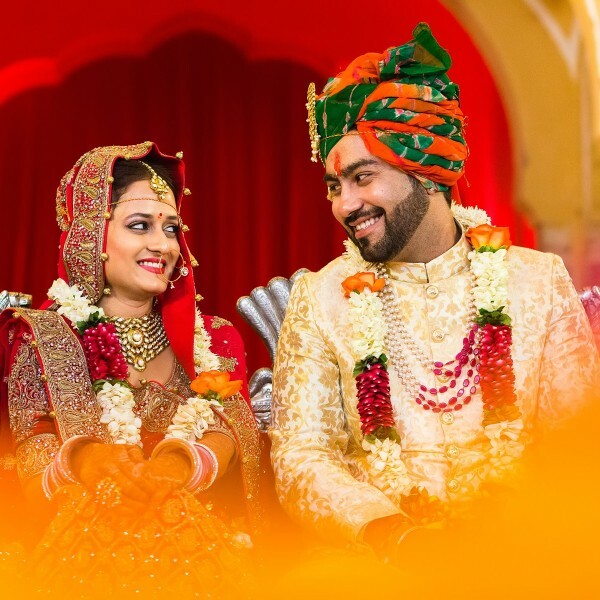 Do check out more candid pictures from Sonal & Shaleen’s grand destination palace wedding here.